Why a Criminal Justice Degree? If you are considering a career in corrections, law enforcement or the criminal justice system, a degree in criminal justice is the first educational step towards a rewarding career. While it is certainly possible to find employment with only a high school diploma, historical data has proven that jobs that do not require a degree tend to be lower paying and have comparatively poor working conditions. In a study published by the Federal Reserve Bank of New York, the past four decades of data have shown that those with a bachelor's degree earn an average of 56% more than their peers who only have a high school education. In recent years (2001-2013) the wage advantage of individuals with a bachelor's degree has risen to an astounding 75%, with employers consistently showing that they are willing to pay higher salaries to candidates with a college degree, even for jobs that are not considered college level positions. In the criminal justice field, this gap is potentially broader. Higher paying positions with better benefits are typically found at the state and federal level, where a bachelor's degree is the minimum requirement. Even at the local level, an increasing number of agencies will require some level of college education (an associate’s degree or higher) to become an officer. A bachelor’s degree in criminal justice is the preferred area of study for all correctional and law enforcement agencies across the United States because students receive a broad introduction to the operation of the criminal justice system. A degree in criminology is also a good qualification, but to become a correctional officer or work in law enforcement a degree in criminal justice is recommended. Students enrolled in criminal justice programs will take courses that focus on techniques for crime detection, detention of criminals, and basic theory on our systems of prosecution, punishment, and rehabilitation. Read more about criminal justice degrees. How law enforcement systems work. How these three systems interface. Ethical responsibilities of an officer. How to peacefully resolve conflict. How to interact effectively with your colleagues and with incarcerated offenders. In the past, the only way to obtain a college degree was to enroll in a college or university and attend classes on campus. The requirement to be physically present on campus often presented a barrier to potential students. Community colleges filled this gap in part because they were geographically convenient for potential students. Evening classes have also proved to be very popular for people who held day jobs but sought to complete their degree. With the evolution of technology, educational systems have been transformed. Increasingly less emphasis is being placed on being present in a physical classroom at all levels of education. In many ways, distance learning works the same way as obtaining a degree on a college campus. The courses are structured the same way with lectures, assignments, projects, and testing. For many classes, you will be required to obtain text books. You will be required to have regular interaction with your classmates and instructors. The requirements for graduation in any given field are typically the same requirements you would find on a physical campus. After you are enrolled in an online program, you will begin to take the classes required to complete your degree. You will need to have access to a computer. Your computer must meet the basic requirements of the school. Ideally, the computer should be newer, and you must have a reliable internet connection. Each school is different, but there will be some type of course management software. A common choice is a program called Blackboard. You want to make sure that you know how to navigate in the online environment before classes start. Most schools offer an online tutorial and technical support. Your course work will generally involve assigned readings and listening to lectures from your professor. Typically these lectures have been pre-recorded, but some colleges do offer live sessions which give the student an opportunity to ask questions. Each class will have assignments which are either completed online or completed offline and uploaded. The assignments will have deadlines which must be complied with to receive credit. Almost all online college programs have requirements for regular interaction with your classmates. Some times this is done by posting comments on a discussion board. Other classes have regular discussion sessions held at specific times and conducted via Skype or a similar program. For courses requiring hands-on work, such as lab work, you may be required to obtain supplies to complete the lab. With the growing popularity of online colleges, many traditional colleges have been forced to offer online classes in order to remain competitive. Many colleges and universities now offer hybrid programs. In a hybrid program, part of the work is accomplished via distance learning, and part takes place in the class room. Hybrid programs are an excellent option for a student who wants to focus in an area such as criminal investigation were more lab work is required. Accredited online criminal justice programs are considered to be of the same quality as traditional degree programs. The issue is finding out if your program is “accredited.” Do not assume that your school is accredited just because they say they are. You need to dig deeper. You need to know whether the accreditation agency is legitimate. The Council for Higher Education Accreditation and the U.S. Department of Education both investigate whether accreditation agencies are legitimate. The Council has a list available on its website of legitimate accreditation agencies. Only consider schools which have received accreditation from a legitimate agency. While a bachelor’s degree is without question the best degree for a job candidate to possess, there are other options. A bachelor’s degree is a four year program at a college or university. In the U.S. there are also many associate's degree programs. An associate’s degree typically takes two years to complete. Additionally, there are many community colleges or trade schools offering certifications in criminal justice. A certification means that you have completed a specialized form of training. Certification programs typically take less than a year to complete, and do not offer the in-depth curriculum of a bachelor's program, but you can complete basic studies in a short period of time. If you are considering a certification program, keep in mind that these programs are not as highly regulated, and graduates often end up pursuing further education to remain competitive in the workforce. Completions data taken from IPEDS survey (2013) was used to compile a list of schools that offer several corrections related programs, including corrections (43.0102), juvenile corrections (43.0110), and corrections administration (43.0113). Once all non-qualifying schools were omitted the remaining schools we sorted in order of which schools had the highest percentage of students graduating in the field of corrections compared to total graduates of all programs offered by that school. Located in Portland, Oregon, Sumner College is a private 4-year post-secondary institution offering certificate and associate's degree programs. Sumner has several campuses and prides itself on preparing students for the workforce with experienced teachers, and a mix of practical and theoretical learning that builds a foundation of knowledge prior to entering their career. Students at Sumner receive excellent instruction due to the community atmosphere and reduced class sizes. New Mexico State University-Grants Campus is located in the city of Grants, New Mexico, approximately 75 miles from Albuquerque. NMSU-Grants is a public 2-year community college that offers both certification programs and associate's degrees to its students. Students may choose to enrol in either the Criminal Justice Corrections Associate's degree program, or the shorter certificate program. Both programs are interdisciplinary to ensure that students receive the best education toward their future career goals. The Valencia County Campus of the University of New Mexico is located on the banks of the Rio Grande, in Los Lunas, New Mexico. The campus was established in 1978 with the intent to provide access to UNM's excellent academic and career programs. UNM-Valencia County offers certificate, associate's and bachelor's degree programs in the criminal justice field. UNM's criminal justice degree program is specifically for students seeking further education in the criminal justice field or those who want to pursue employment opportunities in corrections. For over 30 years, Centura College has provided a commitment to the education and enrichment of students enrolled at the school. This private, 4-year college facility offers certificate, associate's and bachelor's degree programs in a variety of disciplines throughout its various campus locations in Virginia, South Carolina, and Florida. Students who are interested in pursuing a career in the field of corrections are encouraged to request more information from the institute's Criminal Justice department. Currently the department offers an associate's degree that prepares students for a variety of jobs in law enforcement, including that of Correctional Officer. College of the Ozarks is a private, 4 year college located in Point Lookout, Missouri. Home to approximately 2,470 students, COFO was founded in 1905 and offers certified, associate's, and bachelor degree programs. 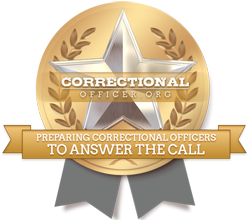 Students who are interested in a career in corrections are encouraged to apply to COFO's programs. Through a combination of academics and practical skill acquisition both on campus and through field trips, the Department of Criminal Justice prepares successful graduates for entry into the disciplines of corrections and law enforcement. Located in Cape Girardeau, Missouri, Southeast Missouri State University offers a wide variety of programs at the certificate, associate's and bachelor degree levels. Increasingly, the Department of Corrections is looking for best-qualified candidates in the industry, and that means that students who are interested in pursuing a career like corrections are encouraged to apply to SMSU's Department of Criminal Justice - the combination of practical and academic foundations will ensure future career success. Founded in 1975, Lamar State College-Orange is a public, 2-year college located in Orange, Texas, with the mandate to provide excellent certificate, associate's, and bachelor degrees and prepares students for satisfying careers or transfer to university. Students who are interested in the field of corrections are encouraged to apply to the Department of Criminal Justice at LSC-O. The department has excellent job placement rates and the certificate corrections program; the majority of graduates currently work for various federal and state criminal justice agencies. Located in Cadillac, Michigan since 1911, Baker College offers students accessible and affordable options for post-secondary learning and career training. A private, 4-year college, Baker has several campuses throughout the state in order to best meet student needs. People who wish to pursue a career as a corrections officer are encouraged to apply to Baker College's associate degree program to begin their path to working in criminal containment and rehabilitation. Located in Flint, Michigan since 1911, Baker College offers students accessible and affordable options for post-secondary learning and career training. A private, 4-year college, Baker's commitment to its communities and student body is evident through its several campuses. Students pursuing a career as a corrections officer are advised to apply to Baker's associate degree program. With emphasis on both practical and academic skillsets for the field, Baker College's comprehensive program will prepare students for their career. North Central State College is a public 2-Year institution located in Mansfield, Ohio. Educating 3,100 students per semester through 60 associate degree and certificate programs, North Central State College is a vital fixture for communities in the area. Students who are interested in pursuing a career in corrections are encouraged to get in touch with NCSC's Criminal Justice department for information regarding program offerings. Graduates of the program advance to such roles as police dispatcher, security, probation officer, and of course, corrections officer. Located in Jackson, Michigan since 1911, Baker College offers students accessible and affordable educational and career training options. As a private 4-year college, Baker has a strong commitment to surrounding communities and student body. Students interested in a career as a corrections officer are encouraged to apply to Baker's Criminal Justice associate degree program. With emphasis on practical training, Baker College's rigorous program plays a vital role in preparing students for their career. Located in Owosso, Michigan, Baker College has been offering students accessible and affordable educational and career training options since 1911. A private 4-year college, Baker has deep ties to it's community base and student body and this is reflected in its responsive course offerings to stabilize the local economy. Students interested in a corrections-based career are advised to contact Baker's Criminal Justice associate degree program. With emphasis on practical training, Baker College's rigorous program plays a vital role in preparing students for their career. Located in Aptos, California, Cabrillo college services approximately 14,000 undergraduate students in over 70 disciplines. Established in 1959 as a public 2-year college, Cabrillo College offers a variety of certificate, bachelor's and associate's degree programs to support student learning needs. Students with an interest in the field of corrections are encouraged to apply to Cabrillo College's Department of Public Safety for more information about how the program's mix of practical and academic training will help them attain the career of their choice once graduated. Established in 1889 and located in Albuquerque, the University of New Mexico is a public 4-year university that bears the status of being the state's flagship university. With an enrolment of 34,793 students, UNM has 6,899 faculty and staff to guide and teach the student body. Students who are interested in a career as a correctional officer may be interested in UNM's degree program for Criminal Justice. Upon completion, students can apply directly to state Department of Corrections recruitment personnel or transfer to a four-year institution. Located in Fond du Lac, Wisconsin and established in 1912, Moraine Park Technical Institute has a student body of 18,784. A public 2-year institution, MPTI is an integral part of the community, providing certification and associate's degree programs, as well as career training and basic skills education. Students who are committed to pursuing a career in corrections are advised to contact MPTI's criminal justice department for more information. Having graduated with an associate's degree, students can seek employment immediately or continue their studies for a 4-year degree. Career retraining and upgrades are also common for existing officers. Established in 1901, Joliet Junior College has approximately 29,000 students enrolled in a variety of certification and degree programs. A public, 2-year community college located in Joliet, Illinois, JJC is the oldest junior college in the nation. Students who are interested in becoming correctional officers are encouraged to contact the Criminal Justice Studies-Corrections program in order ask questions regarding the physical, practical and academic milestones they will be required to learn before graduating. Lake Technical Center is a public 2-year community college located in Eustis, Florida. Offering certification programs as well as degree programs, Lake Technical Center serves the needs of its community by ensuring student's graduate with the skills required to enter their chosen career. Students who are interested in a correctional officer career path are advised to speak with the program coordinator about how Lake Technical Center produces candidates that are professionally prepared for the criminal justice roles in Florida. Founded in 1926 and located in Muskegon, Michigan, MCC is the fourth largest college in the state. With just under 5,000 students, MCC offers almost 100 certificate and degree program options for eager learners to choose from. Those students who are interested in pursuing a career in the field of corrections are encouraged to contact the school for up to date Michigan Department of Corrections requirements in order to choose an educational path that will be most beneficial when applying through the Department of Corrections. Founded in 1964, Polk State College is a 4-year public college with just over 10,000 students currently enrolled in a variety of certificate, associate's, and bachelor's programs. Located in Winter Haven, Florida, PSC is a vital part of the city's cultural and economic fabric. Students who are interested in pursuing a career in corrections or corrections employees who are looking for professional development opportunities are encouraged to contact the college for admission requirements, pre-requisites, and graduate statistics. Founded in 1967, Wayne County Community College District is based in Detroit, Michigan and services an area containing more than 2 million people. With a diverse service area, WC3 caters to this diversity by providing a variety of career programs and upgrades, as well as traditional college degree programs and basic skills upgrades. Applicants who are interested in becoming correctional officers through WC3 are invited to contact the college's Criminal Justice department in order to obtain full information on the registration process as well as employment statistics for graduates. Located in Richmond, Kentucky and founded in 1906, Eastern Kentucky University is a teaching and research university with over 15,000 students enrolled annually. The university has three campuses to better serve its student body. Students interested in the field of corrections are advised to contact EKU's Corrections & Juvenile Justice Studies faculty in order to learn more about this unique program, as well as required prerequisites and employment statistics. Established in 1868, the Minnesota State University - Mankato is part of the cultural, academic, and economic fabric of Mankato, Minnesota. A public 4-year university, there are over 15,000 students enrolled in various certificate and degree programs throughout the university. Students who are interested in pursuing a career in corrections are encouraged to contact the university's Department of Criminal Justice in order to fully understand the practical, physical and academic requirements of the program. Successful graduates can apply directly to the Department of Corrections recruitment office for employment. Expert advice for seasoned officers and new candidates. We provide the answers sourced from experts in the field to a full array of important questions posed by candidates seeking employment and officers already progressing in their career. Q.What is it like to work as a correctional officer?